Here we are off and running and I’ve already rewatched Rio Bravo on January 1st to welcome in the new year. I even caught up with an Oscar winner from last year so if anyone asks me do I remember who won the award last year for Best Actress I’ll be able to tell them. I can’t claim that feat every year. On to this month’s selection. Rio Bravo (1959) What can I say that hasn’t already been said about this John Wayne classic. 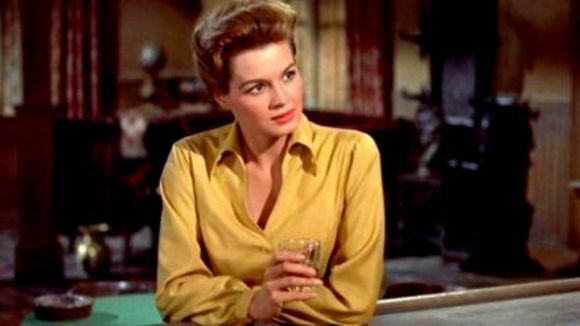 Along with Dean Martin, Walter Brennan and Ricky Nelson, Duke takes out the bad guys like the hero he is and yet finds himself behaving like a schoolboy around Angie Dickinson who is a knockout here in her breakthrough role under Howard Hawks direction. Gambling Ship – Early Cary Grant effort finds him behaving like James Cagney. 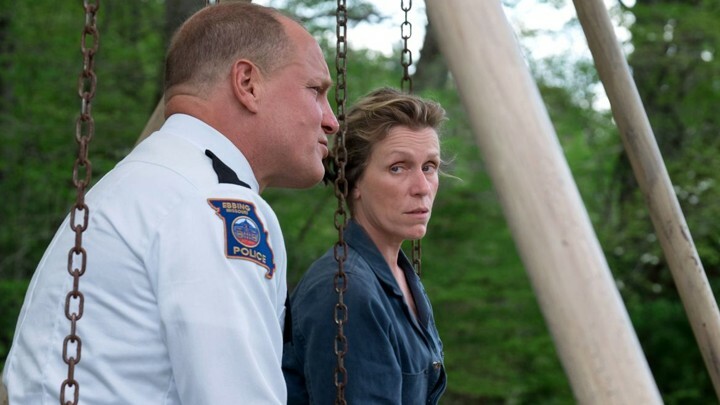 Frances McDormand won a second Oscar for her role here as a woman pressing local police to find the man who murdered her daughter. The pressure she’s exerting isn’t setting well with local law enforcement including Sheriff Woody Harrelson and Deputy Sam Rockwell who also copped an Oscar for his role here. It’s an emotional ride at times but a hell of a film for those willing to give it a chance. Battle at Bloody Beach – Audie Murphy is waging war against the Japanese in the Philippines. 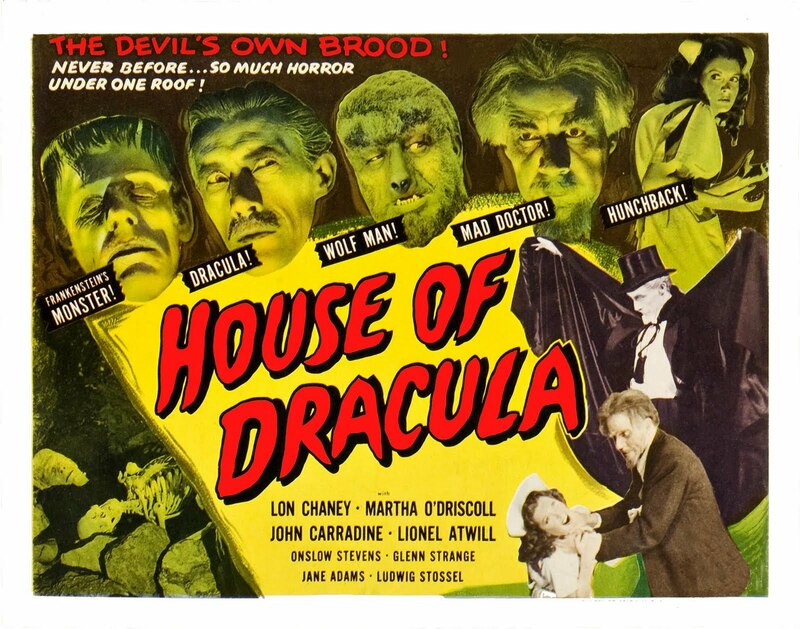 The Haunted Palace – Vincent Price and Lon Chaney Jr. having fun in this Roger Corman thriller. This one’s been on my radar far too long. 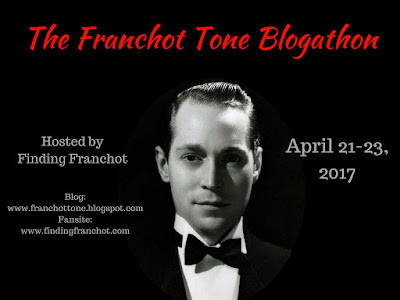 Finally caught up with it and simply put if you’re a fan of the man himself then you’ll love this sit down with him as he reminisces and chats about different topics from his early roots to working on various movies over the years. He also sings a number of songs throughout which fits in well with his authentic sound that he has used in a number of roles in films from Cool Hand Luke to Straight Time and beyond. He’s joined on camera by a number of folks including David Lynch and Kris Kristofferson. Truthfully it just left me wanting to hear more from one of the great character actors over the last 60 years. Robber’s Roost – Nice cast in this 50’s western with one of favorites, Richard Boone. Here’s the thing, this is a rock solid 70’s flick from writer Walter Hill before he became one of the best action directors of his class. It’s the only film ever directed by actor Robert Culp and he nails it. Shows some real talent. Culp has brought along his I,Spy co-star Bill Cosby and the pair play a couple of private eyes getting tangled up in money and murder. Rosalind Cash, Ed Lauter, James Woods, Vincent Gardenia. 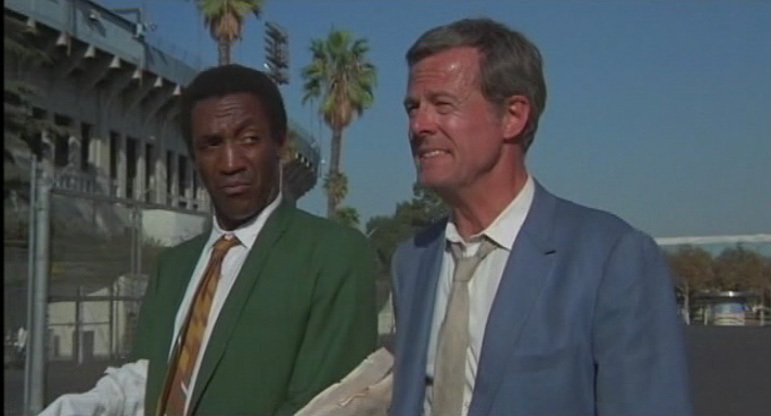 Yes it’s a solid effort and while Cosby’s name might be mud these days, that doesn’t seem fair to the film as a whole and I guess Bill himself as he and Culp are great here. Hill had a real talent at the buddy buddy scripts he delivered from Hard Times to 48 Hrs to Red Heat. Women’s Prison – Campy effort with warden Ida Lupino causing havoc on the ladies inside the prison walls. Remaking a Bogart film should never be considered easy and honestly this one doesn’t do to badly till the final third. 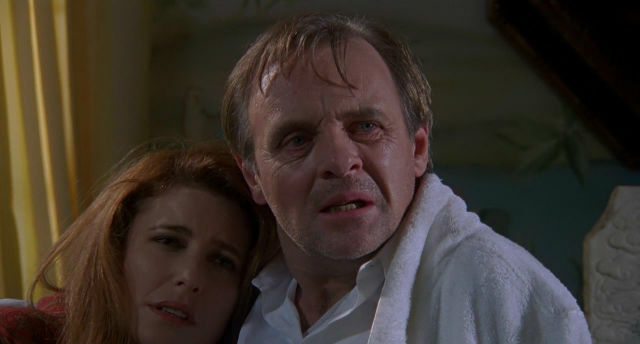 Mickey Rourke and company spring a home invasion on Anthony Hopkins and Mimi Rogers with severe consequences. They’re on the run from the law and this Michael Cimino flick has added some extra turns not in the original 1955 film. The whole thing comes crashing down with what looks to be choppy editing and characters coming and going in what I can only imagine was a Cimino 3 plus hour cut being paired down to an acceptable length. I hadn’t seen this since it came out and my opinion is still the same. Watch Bogie vs. March. The Atomic Kid – Not exactly Mickey Rooney’s finest hour though there are worse. A couple of early John Wayne oaters from ’39 and ’36 to pass the time. Each clock in around that magical 60 minute running time. Nightwing – Vampire bats are dangerous don’t you know. I know I’ve seen the original but I recall very little about it other then the general idea of a married couple turning to crime. 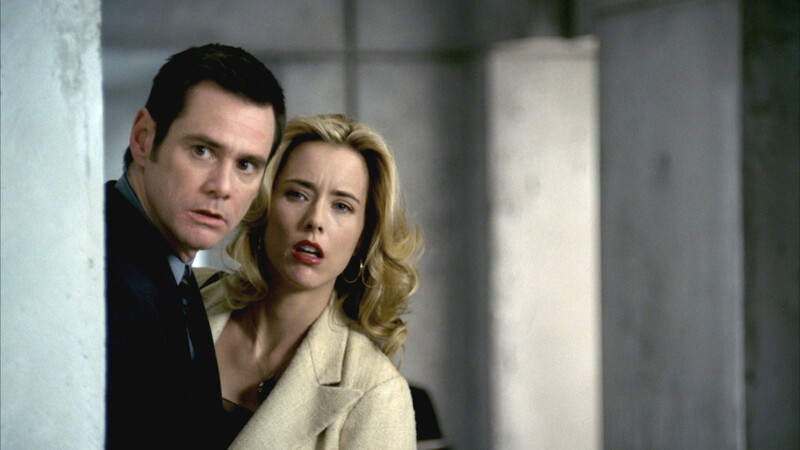 So here we have Jim Carrey and Tea Leoni hitting rock bottom and deciding to go after Alec Baldwin who sent them there through some shady business dealings. No big deal but I still laughed and who besides me caught the classic in joke with Clint Howard checking photo ID’s and spotting one named Opie Taylor? I Walk Alone – Burt Lancaster takes on Kirk Douglas in their first go around on screen together. More flying silver orbs with drill bits burrowing into foreheads and the Tall Man looking for more victims. Yeah it’s fun in a warped sort of way thanks to Angus Scrimm and Reggie Bannister. 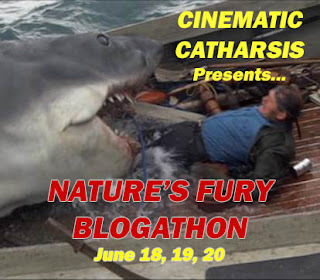 Deadly Jaws – Treasure hunters just might have to contend with a shark or two. Nightkill – Robert Mitchum is on the hunt for a killer who’s been preying upon one of Charlie’s Angels. Here’s a little gem starring John C. Reilly as a con artist who takes on a young protégé, Diego Luna, to help him pull a job. Plenty of angles and twists coming at you and I’m always one to welcome Maggie Gyllenhaal to my television screen. Worth a look. The Big Shakedown – Early Bette Davis effort from 1934 sees her in a supporting role. Sounds like this one had some post production difficulties. Enough to have Walter Hill give up his directing credit. James Spader and Angela Bassett star in this sci-fi flick that looks nice but at 90 minutes it’s easy to speculate plenty left on the cutting room floor which I assume is why Hill’s name no where to be found on the end product. The Lightship – Robert Duvall as a dapper villain who shouldn’t be trusted. 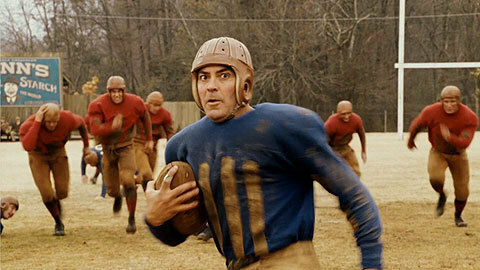 Comedy football depression era style with George Clooney handling both acting and directing duties. Kind of shoots for that Bull Durham feel and comes up short overall. Still I enjoy Clooney in most anything and here he has brought along Renee Zellweger with him as a reporter covering the team looking to break a story that could create much embarrassment for the star player on the rise, John Krasinski. No big deal but if you have the time it’s an easy watch and I do love the era the plot takes us back too. 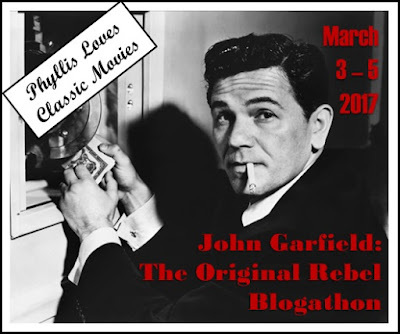 Nob Hill – George Raft turns up in this Henry Hathaway musical that proved quite enjoyable. 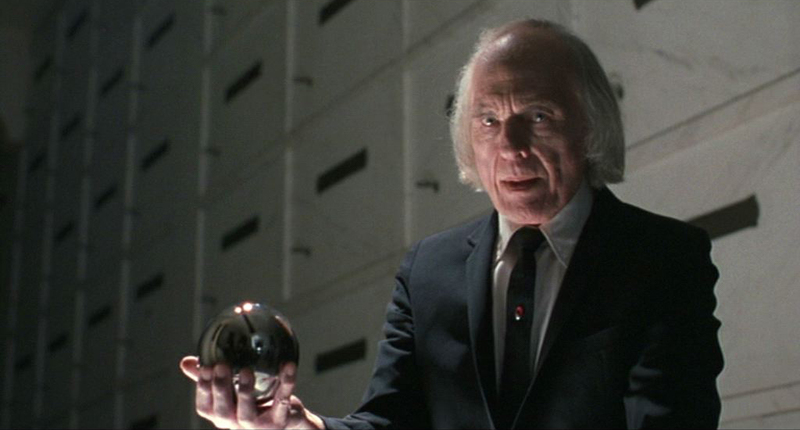 Castle of the Living Dead – Donald Sutherland debuts in this Christopher Lee thriller. 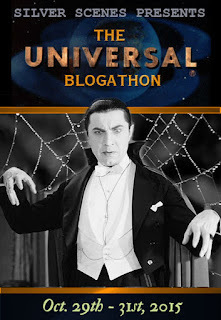 Because I never get enough of the Universal Monsters. Firewalker – Chuck Norris goes Indiana Jones on us teaming with Lou Gossett for fun and adventure. A must see documentary concerning the separation of triplets at birth and what happens to them years later when they discover the existence of each other and the secret behind their adoptions. What a great group of movies. Got to see the Harry Dean Stanton. One of my special songs is him singing Danny Boy. Always loved his acting. Stanton was an odd duck but so likable on camera and there’s an honesty to his singing that I’ve always loved. Would have been fun to sit down with him and pass the guitar back and forth singing old standards. These monthly round ups that yourself and Kristina produce make for great reading such wide ranging choices. 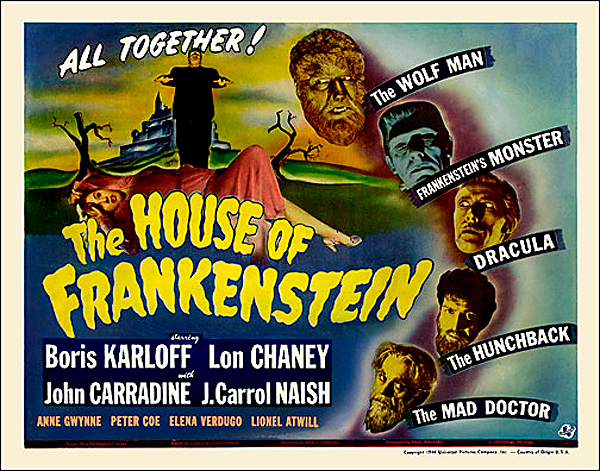 I can always watch a vintage Universal Horror especially those monster mash ups. 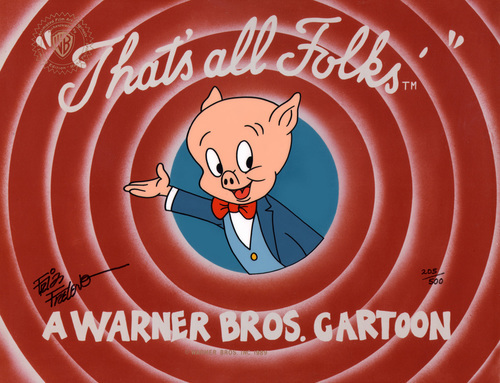 This year I have seen THE MULE and STAN & OLLIE…loved ’em both. Franco Nero Spaghetti TEXAS ADIOS….any good,as I’ve been thinking about the new Blu Ray…..thanks. I’m itching to see Stan and Ollie and the Jackson documentary They Shall Not Grow Old. I liked the Mule as well. Texas Adios wasn’t bad. Been a while since I’ve actually watched it but I found it to be an above average spaghetti western and I’m a Nero fan. 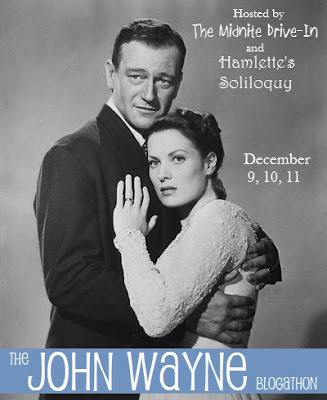 Highwaymen does sound interesting and I’m also awaiting The Irishman. 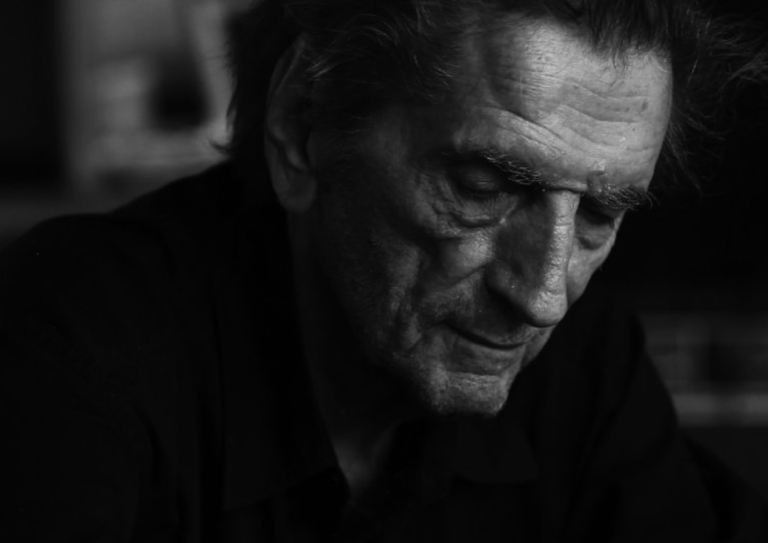 So good to see gotta Harry Dean Stanton : Partly Fiction. It’s insanely poignant and beautiful. Just wonderful. I’d have loved to have that bar as a local. Imagine sitting in there with a bourbon on the rocks as Harry sings a song! I’m sure you said you saw it but if not his film Lucky is a perfect companion piece to this and wonderful swan song to the great man. I really enjoyed 3 Billboards too. Hickey and Boggs was pretty good. Offtp a remake of The Desperate Hours! I loved that film last year. Thanks for taking one for the team, I’ll steer clear of this remake. Funny I just made a joke referencing Richie Cunningham and Clint Howard. IO have Lucky cued up for this month. Snagged a copy. 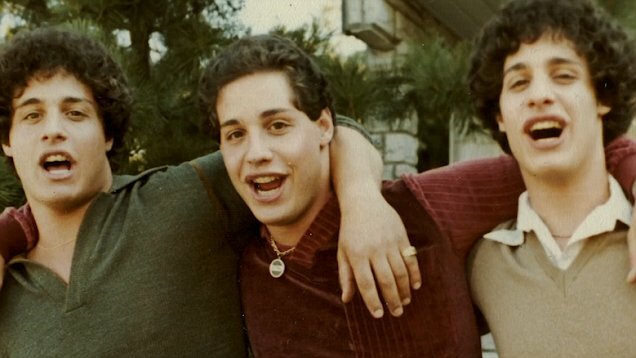 Loved both docs this month, Stanton and the Triplets. Thank you for your post! I didn’t know about Harry Dean Stanton: Partly fiction! I saw Lucky, and I enjoyed it a lot, but now I’ll look for that one as well! I’m looking forward to Lucky. Probably this month if I can squeeze it in. Finally landed a copy. You’ll Like the documentary on Harry I’m sure.